The latest in electrophoresis design! 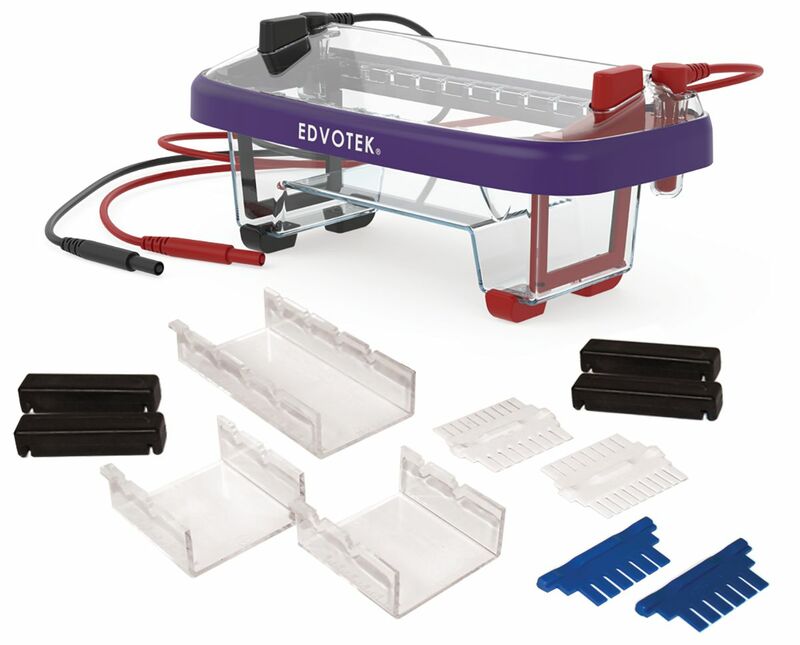 Our newly reengineered M12 Dual Electrophoresis Apparatus runs two groups of students in two standard length gel trays. Large color coded pushtabs for easy lid insertion & removal. This unit is compatible with accessories of earlier Edvotek models. Includes: (2) 7 x 7 cm Gel Trays, (2) 6 Tooth Combs, (2) 8/10 Tooth Combs, (4) Rubber End Caps.